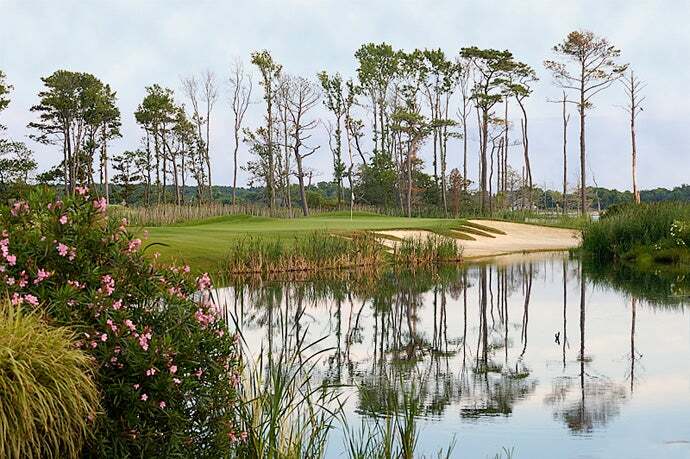 Bay Creek Resort -- Cape Charles, Va. -- baycreekresort.com His rival, Jack Nicklaus, also has a course here. But Palmer got his hands on the property first, christening his layout in 2003 on a stunning swatch of land beside Chesapeake Bay. The paths are made from sea shells. The water views are striking. Play a twilight round, with gulls wheeling just above you and an orange-red sunset bleeding on the bay. Few courses have such a vivid sense of place.